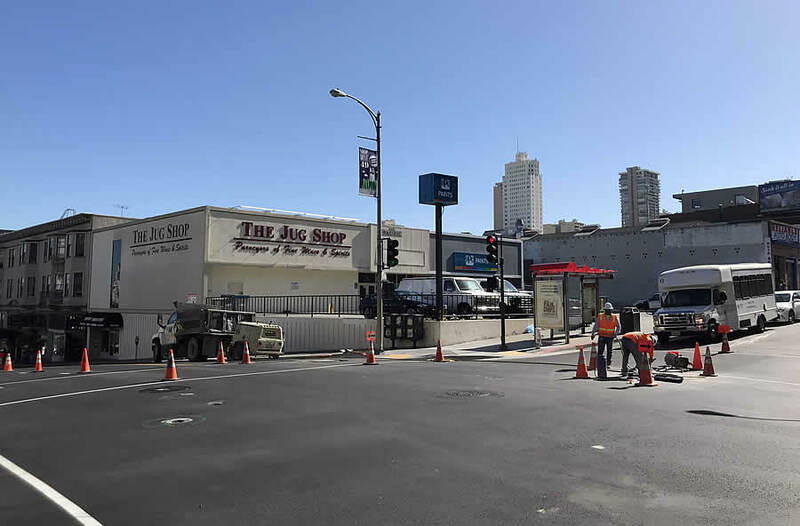 As we first reported last year, plans to level the iconic Jug Shop complex on the northeast corner of Polk and Pacific are in the works, with preliminary plans for a six-story building, with 43 market rate condos over 6,500 square feet of new restaurant/retail space, to rise up to 65 feet in height upon the 2030 Polk Street site having been drawn. 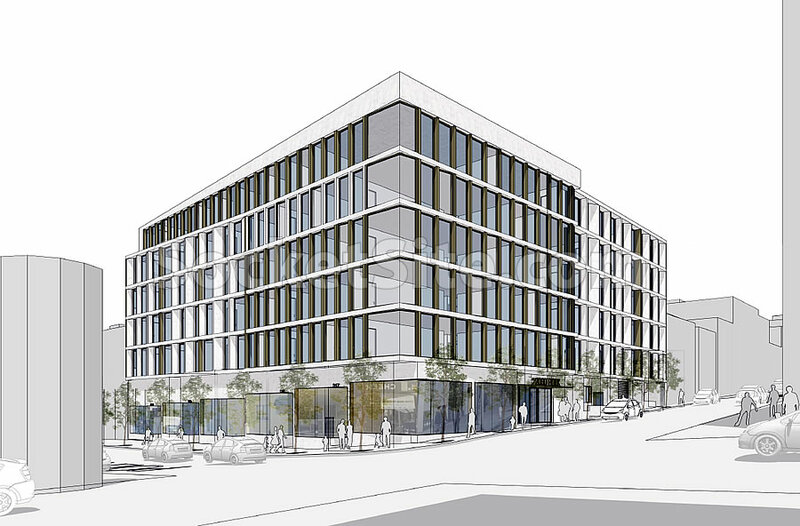 Since re-branded 1580 Pacific Avenue, the formal application to entitle the development is now working its way through Planning. There is always always always a reason to oppose new housing. Do we get to hear this every time someone expresses an opinion on a proposed design. Meh. Just pointing out the many reasons to oppose new housing: it’s ugly, it will make the streets windy, it’s too near a bar, there’s not enough parking, there’s too much parking, it will create shadows, it’s only for rich people, it’s only for poor people, etc. What’s missing is a reminder that we have a huge shortage of housing. You’ll get get the perfect building for everyone. You can be for new housing, just not for this particular design. Nobody’s opinions of aesthetics mean a damn thing. It’s intellectual laziness at its peak. I didn’t read any opposition to the housing, I just read a valid criticism of the design. In fact, you can support the project and density while believing the developer should tweak the design. By your logic, we should support developers pitching tents on Market Street and renting them out by the hour because, hey, it is new housing. I disagree with some of the unnecessary obstacles thrown in the way of building new housing developments. 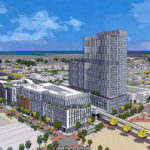 I would reduce some of the fees and other city mandates on new developments (I have friends who are architects and in the development field who have stated they have had to drop planned projects because they just don’t pencil out with all the added costs of city fees and mandates). I also wish we didn’t have a new batch of costly ballot propositions presented every election. However, I do not support a free-for-all. I want San Francisco to retain its character, and not have it turn into something resembling a suburban office park in Concord. It is not too onerous to demand that developers design attractive buildings. So tired of hearing arguments about retaining SF’s character while no one can afford to live here. It reeks of privilege. 875,000 people can afford to live here and population seems to be increasing. im all for more housing too, but aesthetics are important. this does look like a medical office building. I would personally prefer it be 2x as high and a bit skinnier. I am glad to reek of the desire to see buildings constructed that have quality architecture. 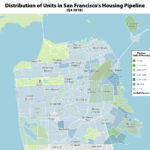 San Francisco could double (or more) its density while still building attractive and distinctive buildings that still say San Francisco and not suburban medical office building. So, Joe, save the drama for your momma, and spare [me] the tired spewing about “privilege,” and the 1930’s-thinking that the only way to save the city is to tear it down. And that is how you create site response, variety, and detail without resorting to loud and confused Las Vegas-style clashes of completely different boxes or some trite scabbed-on facadomy. Thank you for subtlety and restraint, for leaving enough to discover the more one studies, for addressing the street, and for showing the difference between rhythm and repetition. This is rad. We need 100+ of these developments in SF. Rent control has killed quality and affordability. That will never change. Just build nice new market rate and the rest will sort itself out. Progressives can pound it. What’s going on with the rendering of the cheese shop on the other side of polk? Meanwhile Lombardi Sports has been closed for two years or so with no signs of any ground breaking for its housing project. I appreciate the detailed summary of the proposal but have to ask about the designation of this “jug shop” as “iconic”. Not trying to nit. Is there some history that I’m missing out on, or maybe some architectural significance that isn’t obvious to my untrained eye from the photo? It was a video store for many years before it was the jug shop. And the building itself has never been, AFAIK, what anyone night consider iconic. You must be new here. In San Francisco any old liquor store can be considered iconic. I forgot to add that to my list above of great ways to prevent housing from being built. i guess the owner of the jug shop has more important things to worry about than Lombardi sports being developed into a grocery store now. I’d like to see more 3BR units in attempts to keep families in the area. 3BR’s are rare on the north side of town. Lotta 1’s, 2’s, and then a jump up to 4’s and 5’s+. Not everyone wants to live in the Richmond. To me, the Jug Shop is iconic. It’s been around since the 70’s (though they started in another location I think). It’s in the same category as K&L, and they had fantastic tastings back in the day. the richmond is on the north side of town. It hurts to just look at that design. I think it looks nice. It’s like the form… follows… the… function… And it’s certainly better than a strip mall with ornamental parking out front. It will kill my view and worsen the fact that there is already ZERO street parking in this area. It’s congested enough. And out of curiosity, how long would it take for the permitting process to go through and for them to break ground? We talking weeks, months, or years?